TerraCRG has been retained to market and sell 257 Jefferson Street, which is a partially-constructed, residential development of approximately 5,389 SF (zoning floor area) in the heart of Bushwick. 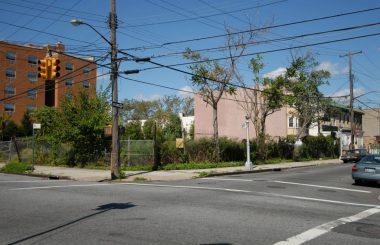 The 25.00 ft x 100.00 ft lot is located between Knickerbocker and Wilson Avenues, roughly three blocks southwest of the Jefferson Street Subway Station and the L Train. The Central Avenue Subway Station (M Train) is less than a 10-minute walk to the south. The plans for the three-unit development call for a building of four stories, plus a small penthouse level, with a full cellar. 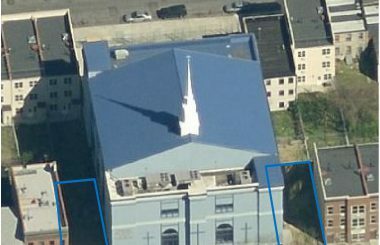 The building’s structure has been completed to the roof. The new owner will need to complete the building’s front and rear walls, install all the building’s systems and complete the interiors. Recent condo sales in the area have averaged more than $900/SF. Rents for apartments in new developments in the area are around the $50/SF mark. As well as being conveniently located for local transportation, the property is close to some of the neighborhoods most popular cafes, bars, clubs and shopping options. Popular local spots in the vicinity include House of Yes, The Bushwick Collective, Sea Wolf, Alphaville, The Johnsons, The Three Diamond Door, Artichoke Pizza, L train Vintage and the Cobra Club. 257 Jefferson Street is also just two blocks from Maria Hernandez Park.